While Vetroyl is commonly prescribed to combat cushings symptoms, many people look for alternative methods due to the terrible side effects of vetroyl. You may want to take a natural approach, but still, get the best results. There is no one best natural treatment method for your dogs cushings, we recommend using several things. A combination of a good diet and supplementation can eliminate symptoms and let your pup enjoy the rest of their years! Cushing’s Disease, or hyperadrenocorticism, is a condition in which adrenal glands such as the pituitary or adrenal glands overproduce specific hormones. It commonly overproduces cortisol, which at normal levels aid in responding to stress and moderating the immune system. At high levels, it can be dangerous. Common symptoms of Cushings disease in dogs include increased thirst and urination, increased hunger, increased panting, a pot-bellied abdomen, loss of hair, lack of energy, darkening of the skin and recurring infections. 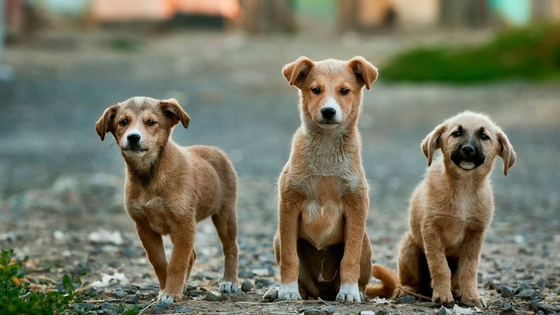 It is one of the most common endocrine-related syndromes found in dogs today. Typically, this condition is caused by a benign tumor on the pituitary gland. It can also be caused by an adrenal tumor, but this only accounts for about 15-20% of reported cases. It can also be caused by excessive administration of corticosteroid medications that are used to treat allergies. While there is no known cure for Cushing’s, there are many treatment options available to help your dog manage their symptoms. Some of Cushing’s disease in dogs treatment methods include surgery to remove the benign tumor, or with medication from a vet. Common medications include Lysodren and Vetoryl, which can have very serious side effects of their own. Fortunately, there are Cushings disease in dogs natural treatment methods that can be used to help manage symptoms that are effective and much easier on the bank account for worried dog owners! One such treatment method involves using Hemp cbd oil. Researchers have discovered that CBD oil for Pets has no intoxicating, hallucinogenic or addictive side effects with use. 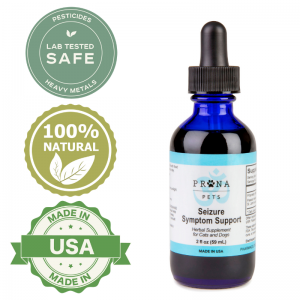 Beyond being a Cushings disease in dogs natural treatment, it helps reduce seizures in dogs, has anti-inflammatory attributes that help ease arthritis pain and helps relieve anxiety and stress. Prana Pets offers the cushings killer combo, which in my opinion is the best natural treatment product you can purchase right now. Its 3 products contain some of the best natural herbs to fight cushings disease in dogs. When considering Cushing’s disease in dogs treatment methods, CBD oil is safe, natural and effective. It specifically helps the dog relax, balances out their appetite, which helps prevent fat from forming around and weighing down their internal organs (cause of the pot-bellied appearance), and improves their skin and hair condition. There are many Hemp products for pets to choose from. It is recommended that you do your research before choosing a product. I personally recommend using P. There are no known side effects to its use, making it much less expensive and safe alternatives to the harsh medications that a vet would typically prescribe. While CBD oil can help with symptom management, there are many other natural treatment methods that are worthy of consideration when dealing with Cushing’s. Lignans, for example, are naturally occurring in spruce trees and flaxseed and inhibit the enzymes that are needed in the production of cortisol in the body. 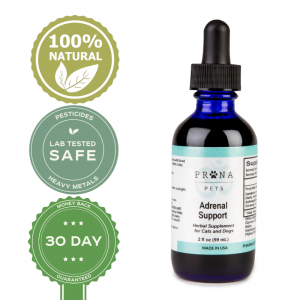 This helps to regulate the dog’s entire endocrine system since it is the overabundance of cortisol that is the root of many of these problems. Lignan treatments have reportedly helped ease symptoms of Cushing’s in as little as a few weeks, but in some dogs, it takes several months. Owners saw an increase in their dog’s energy level, hair growth, and a return of normal appetite and weight. Because Cushing’s can also cause the liver to become overworked, liver supplements are also beneficial for long-term care. Some of these include SAMe (S-Adenosyl L-Methionine), which is a naturally occurring substance in the body that supports healthy liver function. Milk thistle and dandelion have been used for centuries as natural remedies for many ailments. Dandelion can help regulate adrenal function and support the liver and kidneys. Whichever treatment method you choose, natural treatments for Cushing’s are more gentle, more affordable and are proven to be as effective in symptom relieve as conventional Western medical treatments. We all love our pets as members of our own families, but a disease like Cushing’s can result in massive veterinary bills or lead to unnecessary suffering if a family cannot afford to offer supportive veterinary care. The treatments often prescribed can involve attacking the direct cause of the condition; the tumor itself. This can involve chemotherapy, surgery and in the long term, follow-ups and constant testing for adrenal damage. Treatment of Cushing’s, if pushed too far, can actually cause the adrenal gland to completely stop, which causes Addison’s disease. For most pet owners, the last thing they want to do is cause a new problem while trying to fix another. Natural treatments have the ability to save families thousands of dollars in medical bills while providing the support the dog needs and greatly improving their quality of life. There is an argument to be made that going down an extreme path of treatment may actually lower their quality of life as they deal with the effects of the disease in addition to the effects of treatment. In the end, all any good pet owner wants is for their loving family members to be happy and healthy! As always, it’s best to talk to your vet about treatment methods for any syndrome or disease in your pets. Many of these homeopathic options are available online, or in major pet retailers. I don’t want to put her through surgery as i feel she is too old. I would therefore be interested in treating her with homeopathic remedies. Could you please recommend what would be the best and where i can purchase them from. I live in Spain. make suggestions they will blow us off, as to the effectivness of these natural meds. Thank you it was helpful I have Labrador she is 13 has cushion and has bad hip and we have tryed a lot with her. Hi we have a 11 year old border collie who has been diagnosed with Cushings. She has been put onto Vetoryl 30mg capsules 1 per day. We were not advised of any other types of treatment and now struggle to pay for the capsules as the cost has increased by £20 per box to £73. Can we put our dog onto homeopathic treatment as i am sure this would be better for her? Also she has bad arthritis in her hips and we would like to treat this as well. Hey Tracey I am sorry to hear about your dog. If you are looking for natural treatment I recommend trying Prana Pets Products. They carry 3 products that work very well to fight cushings. They also offer a 30-day guarantee so there is no risk. little changes that will make the largest changes. Thanks a lot for sharing!